By now you should know how much I love lighting things on fire! 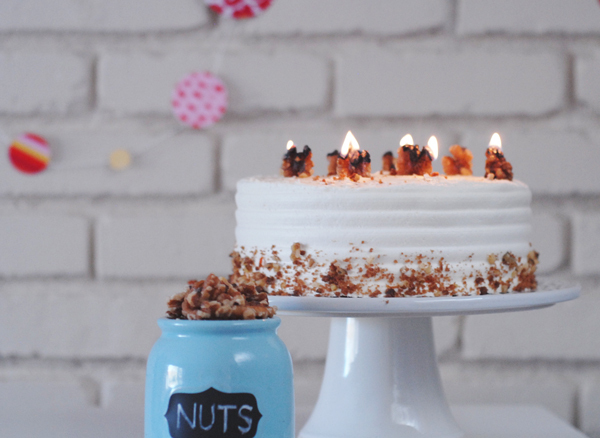 We’ve tried corks, fruit, and matches so far, but these simple walnut candles might be my favorite yet. 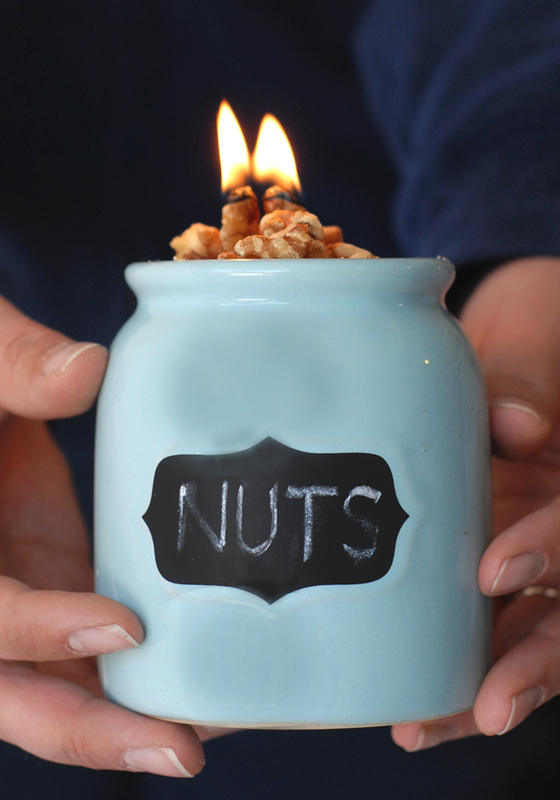 Did you know you can light nuts on fire and make your own candles? You can! The concept will work with most types of nuts, since they are naturally oily – we tried pecans and almonds too. 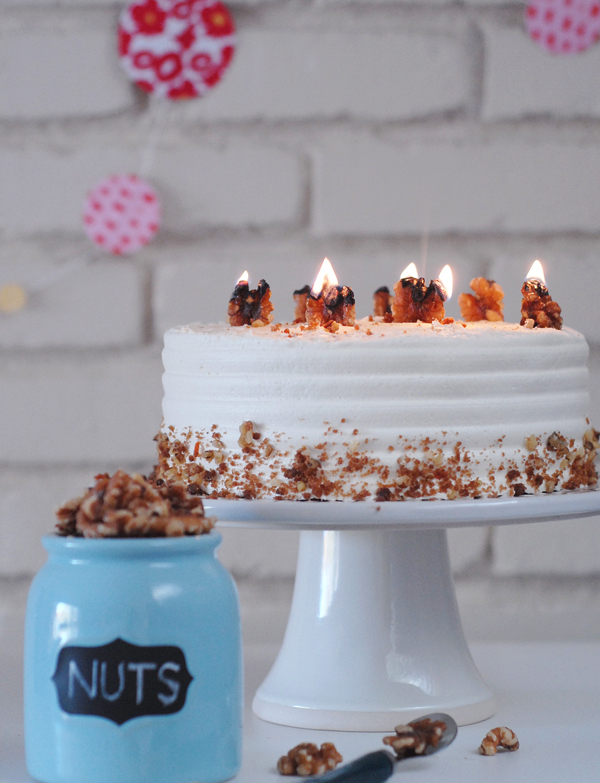 The walnut candles make such a pretty look that is rustic and perfect for fall. A huge bonus, they are edible, so no need to tirelessly scrape off wax after these flames are gone. 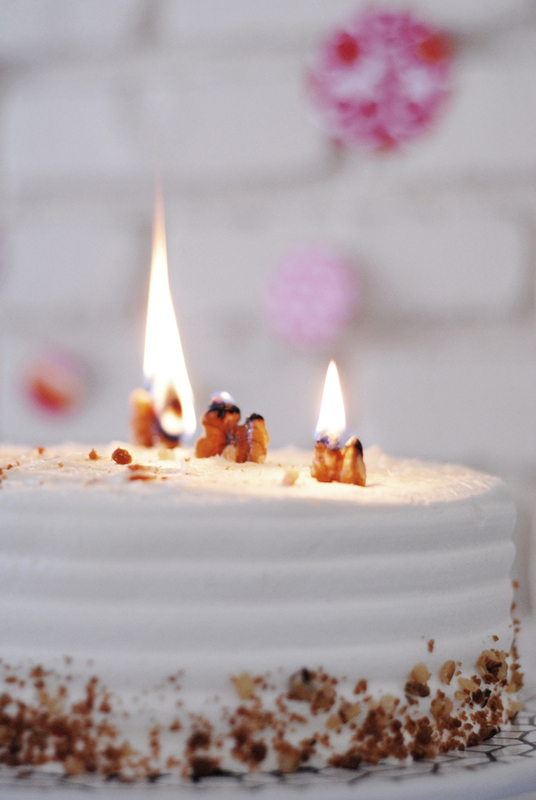 The basic idea behind these candles is that flame thrives on oil – so light up an oily nut and it will produce a pretty burn – just like a birthday candle. It fits in perfectly with our fall pull towards nature. Once lit the nuts burned for about 5 minutes. Perfect for a rousing chorus of Happy Birthday or to make a bright statement with that Thanksgiving pie you’ve been waiting to share. 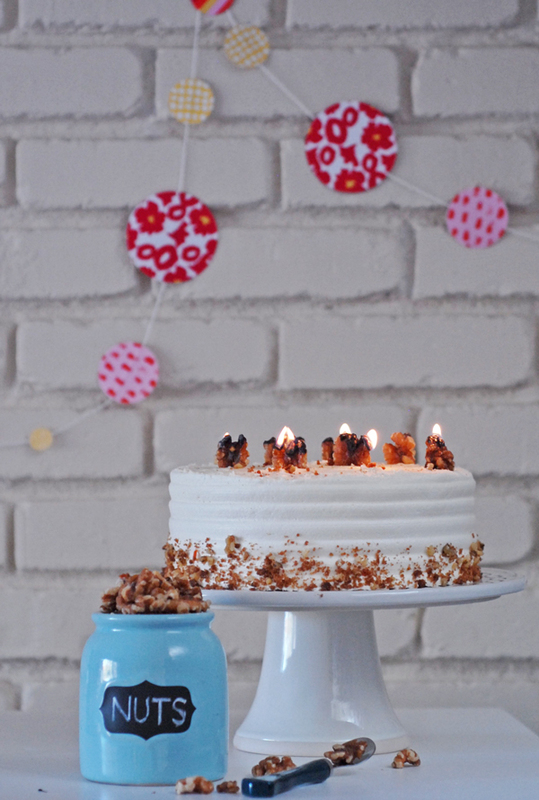 I think the cake looks perfect on my new Artisan Glazed cake stand, and we kept a cute ceramic serving bowl nearby with a fun chalk front for any friends who might want to light candles of their own. I’m not sure how you figured this one out but I’m sure glad! This is genius. Pero qué idea tan increíble! de verdad es posible???? Really no directions. Where’s the wax to scrape off? I am trying to make one for a gift. 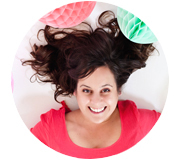 Are there directipns? There are no directions needed! We just used the nuts as candles. Their natural oil makes it work.